Continue reading Beer, gin and vodka.. made in Lebanon!Continue reading Beer, gin and vodka.. made in Lebanon! Continue reading Recycling can be fun!Continue reading Recycling can be fun! We recommend // Rock n Roll Pizza Party! BBS had a sit down with Lazzy Lung front man Allan Chaaraoui for a Q&A about the RRPP that are staring to come to life in Beirut again. How do you see the music scene in Beirut? It goes without saying that Beirut is flooded with EDM / House music/ top 40 commercial and everything else under the sun – and that continues to be “ “ popular demand. I’d like to think people are ready for something a little different. Tell us about a few of the challenges you faced as a musician? Back in the day it was hard enough getting gigs especially for “original bands” let alone bands that play Rock music. At the time there were no Wicker Parks or Beirut Jam Sessions or Beirut Open Stages out there – so we had to be crafty. My band didn’t want to have to wait for the AUB Outdoors /Fete De La musique / to step on a stage. What’s up with the Pizza party? This was something that originated in my Hometown of Ottawa Canada – a staple club night in the city (at least it used to be) held every Thursday (Free entrance and Free pizza) as a perk they’d dish out a couple of pizzas at the end of the night. Unfortunately they stopped throwing them – but they were legendary. A lot of my favorite bands sprung up and performed at these events. I wanted to carry that tradition on – only here in Beirut! Who played your RRPP events back when you guys started them? 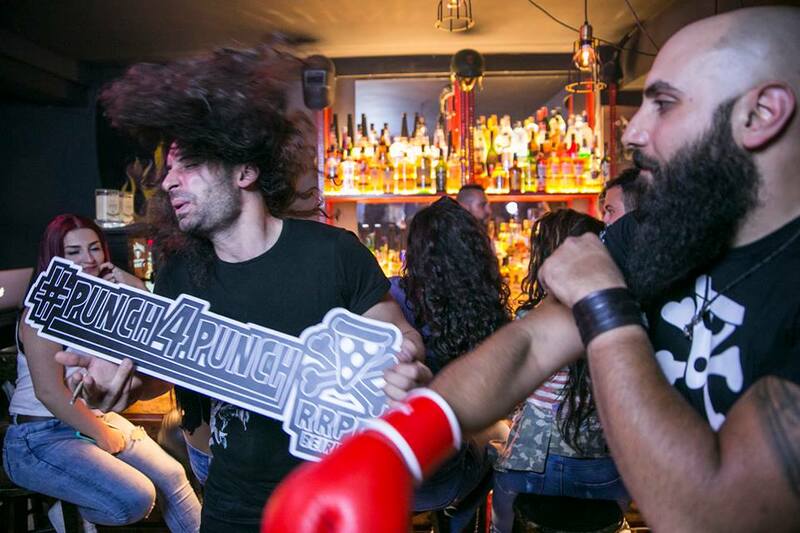 The RRPP was hosting and performing events with local rock bands and heavy hitters like (Lazzy Lung /Who Killed Bruce Lee / Scrambled Eggs/ Beirut Scum Society/ Passive Standouts and even managed to host The Black Lips). 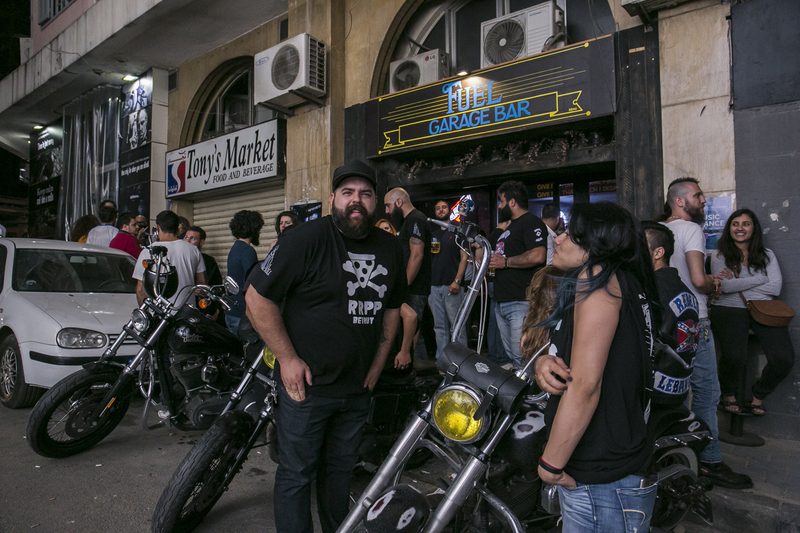 There’s a new Rock Pub / Biker bar (Fuel Garage Bar) in Mar Mkhayel that just fit perfectly with the RRPP Vibe. Across the street there is new pizza place opening (By The slice) and the pizza tastes awesome! It just made perfect sense – to put everything together and start throwing parties again. How are you promoting this party? Are you thinking about the community when you throw these parties? We hope that we can manage to get more people taking part and giving back to the community through the RRPP. When do you shut down the party? We hope to keep throwing parties so long as the drinks pour cold and the pizza comes out the oven…our parties go on till the cops show up. We just want give as much as we can to build and strengthen the rock music community in Lebanon -which has been somewhat neglected other than the efforts of the Jim Beam Rock festival. Eventually if the parties keep doing well – we are looking to Shut down the street and host block parties with Live Bands and the whole 9 – still staying true to our concept of Free Entry a few free pizzas. Tonight’s XI RRPP event info. In the midst of political and social turmoil, our night life still seems to prevail and offer us the best the world has to offer. 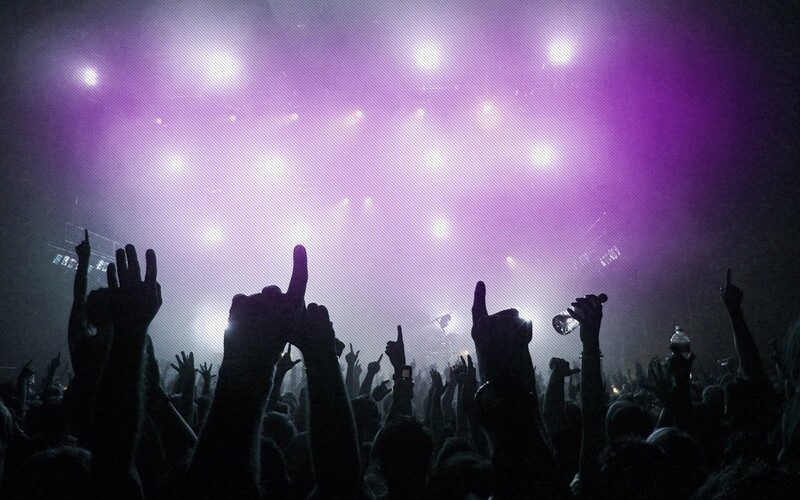 Festival season is coming up (we’ll make sure to recommend some not-to-miss concerts) and outdoor parties are starting to boom (this Friday, put on your dancing shoes, Decks on the Beach and Uberhaus are partnering up at Sporting’s poolside for Uber on the Decks, the first outdoor party of the season). On Saturday, veteran DJ and producer, DJ Vadim, will be shaking things up in Beirut’s underground club Yukunkun. He’s been touring the world for the last 20 years and is finally gracing us with his presence. His music has always reflected his worldly travels, from hip-hop to reggae and dub, from electronica to cultural beats, from soul to funk. 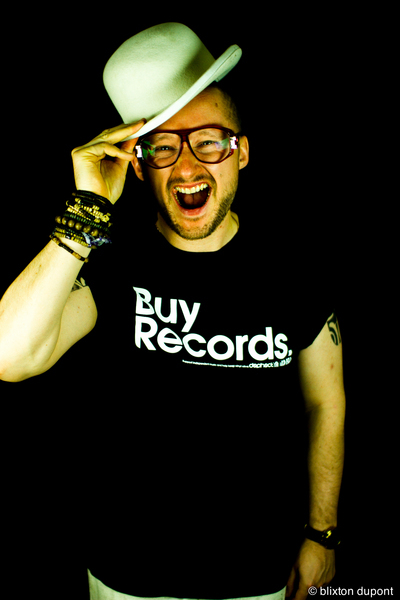 Dj Vadim is also a voice of positive change. A socially conscious artist who raises awareness on different issues through his music. Audio Kultur are at it again tomorrow. This time they’re bringing to the stage an all-female line-up of very talented local and international acts. 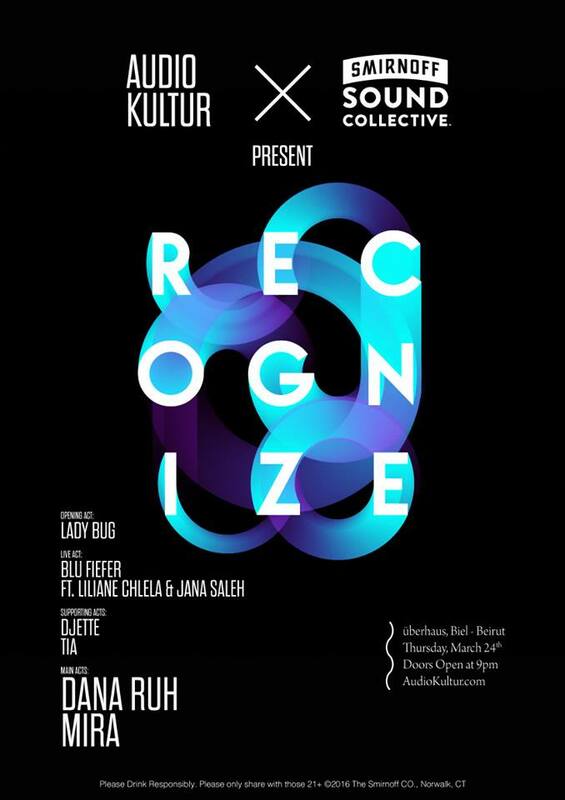 Featuring Ladybug / Blu Fiefer ft. Liliane Chlela & Jana Saleh / DJette / TIA / Dana Ruh / Mira. Support equality, empower women and have a great night out in the process. See you there. This Saturday let’s turn the lights out and party for a cause! Audio Kultur in collaboration with G, a specialized NGO in Green living, invite you to a one of a kind lights-off event to celebrate Earth Hour and create awareness on climate change. This event will be powered by solar panels and will help fund green programs across the country. Featuring live unplugged vs plugged sets by Rudy Ghafari X Arton String Quartet / Dj Ali Ajami X violinist Silviu Paganini / Michelle & Noel Keserwany. In the past few years the good people from Beirut Jam Sessions have been working very hard on nurturing the LIVE music scene in a city that is dominated by a large Dj culture. They have flown in foreign acts, dabbled with music festivals, and assisted local talents to rise and share their music with the world, making our city a brighter place. This winter season, the Beirut Jam Sessions have decided to lineup the bands early, on Thursdays mainly. We are looking forward to these shows, and hope you help spread the word. The local acts need everyone’s support, and the international ones can easily inspire us to create more.